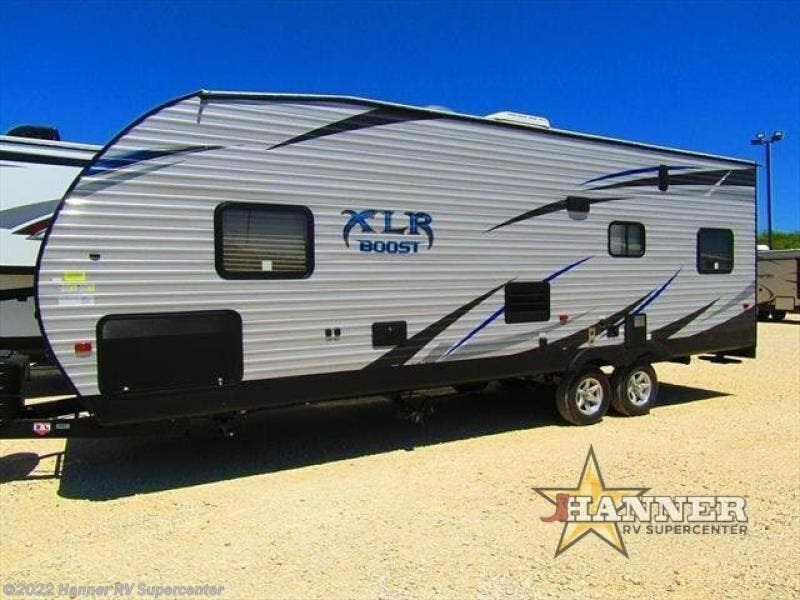 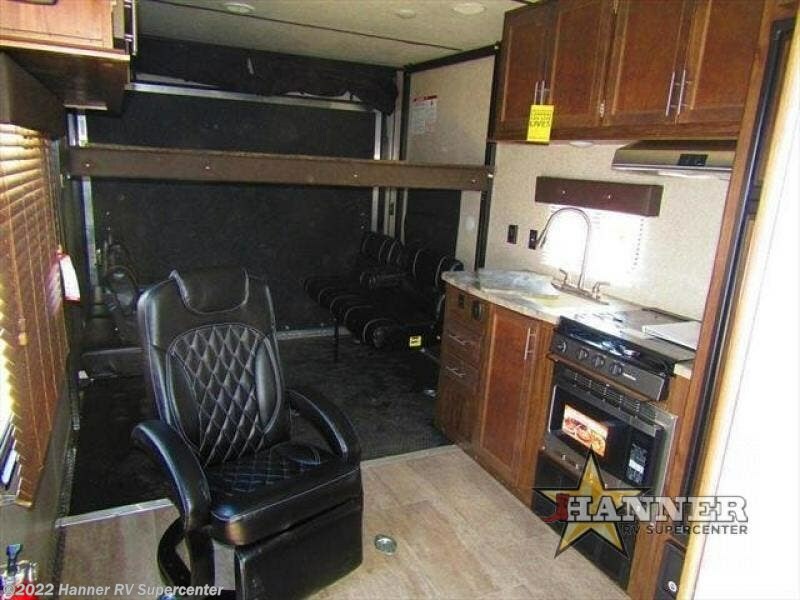 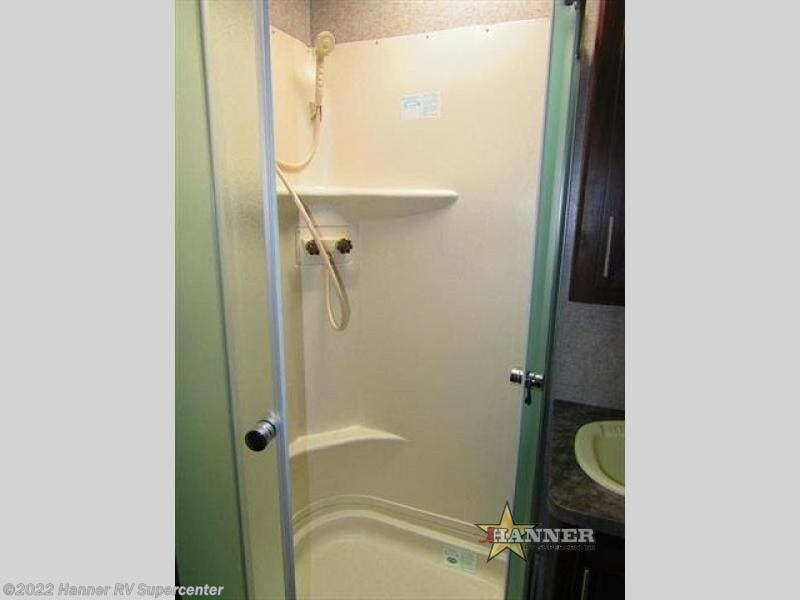 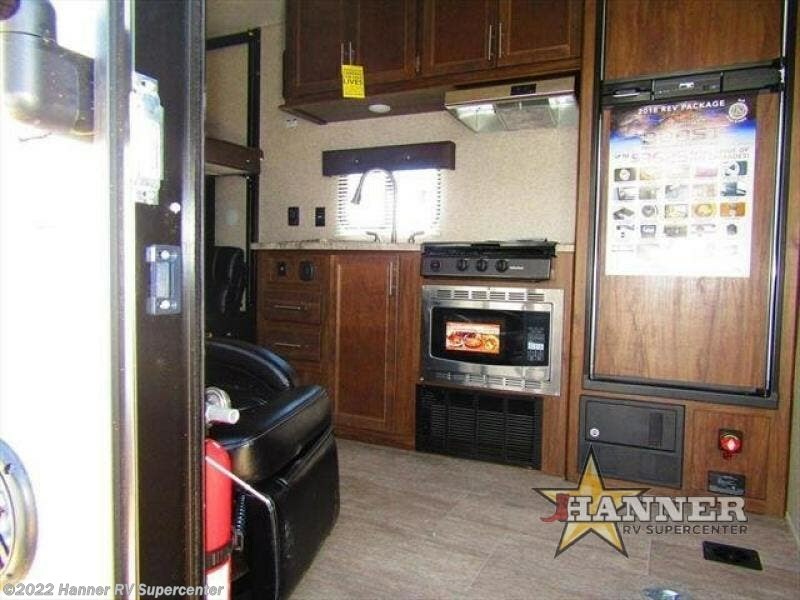 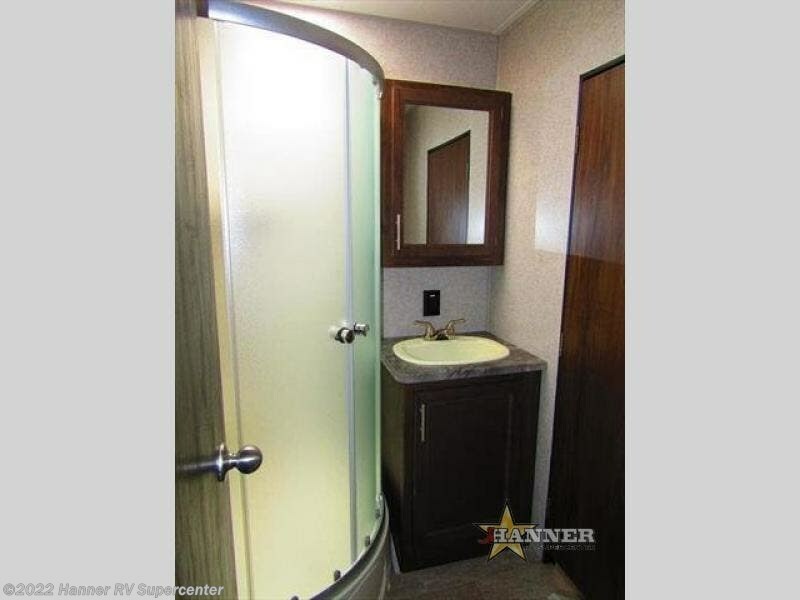 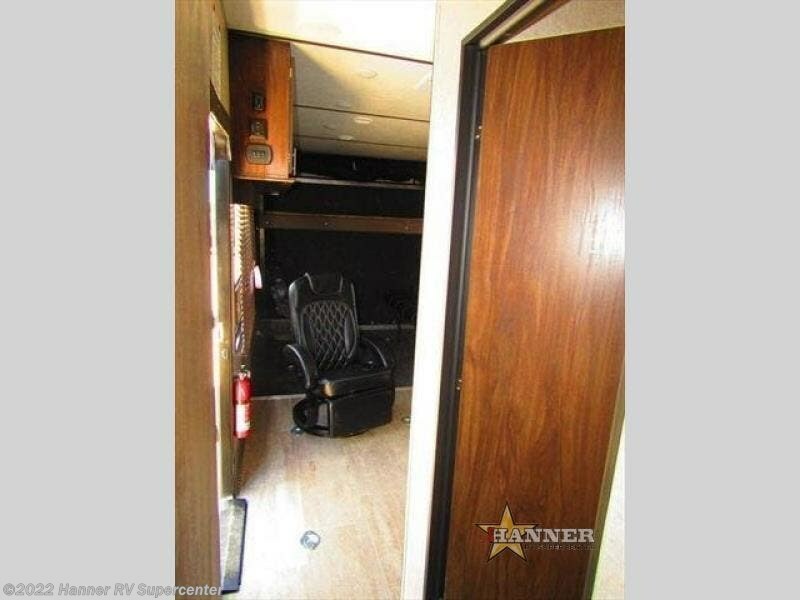 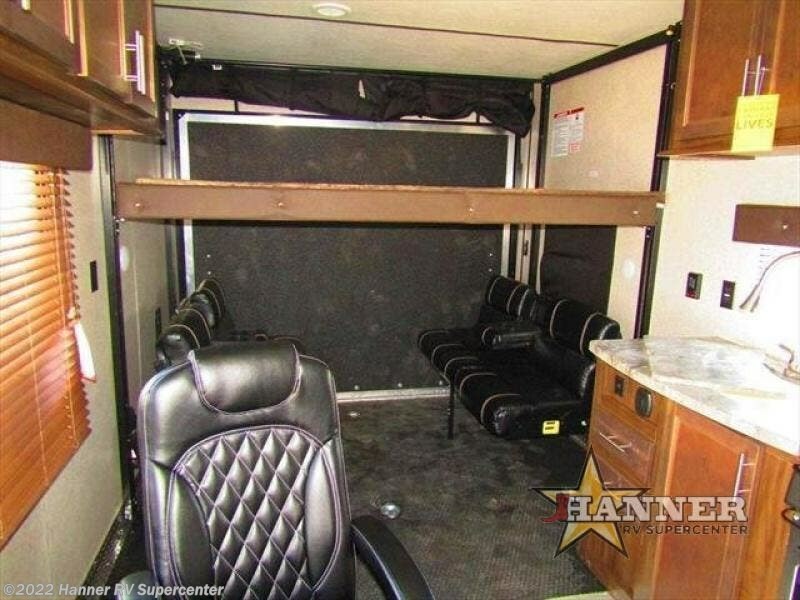 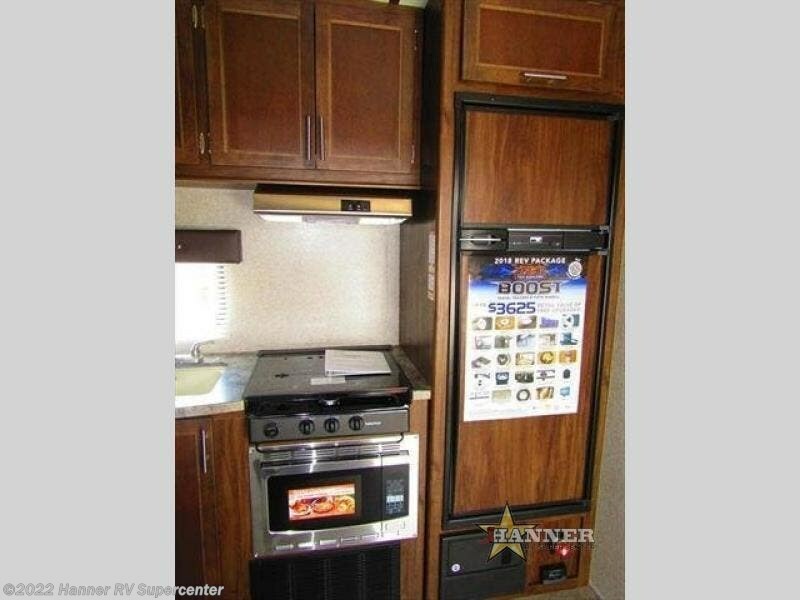 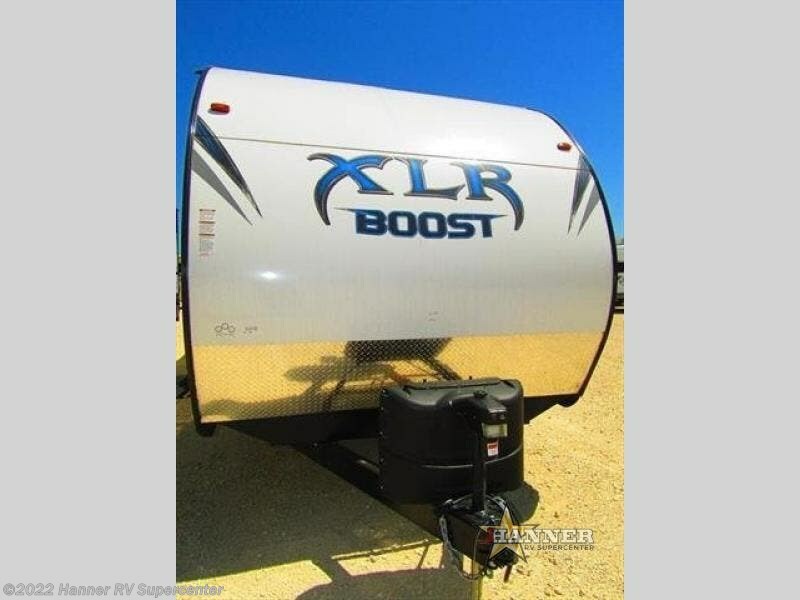 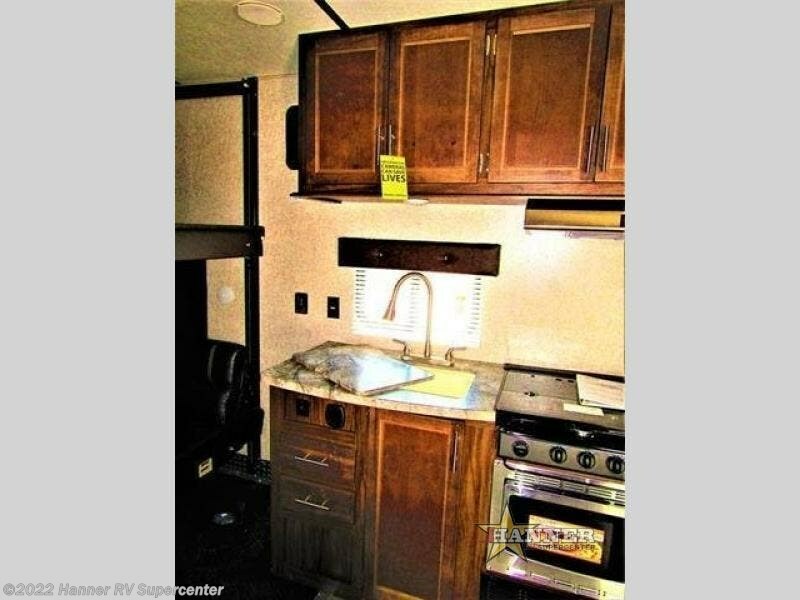 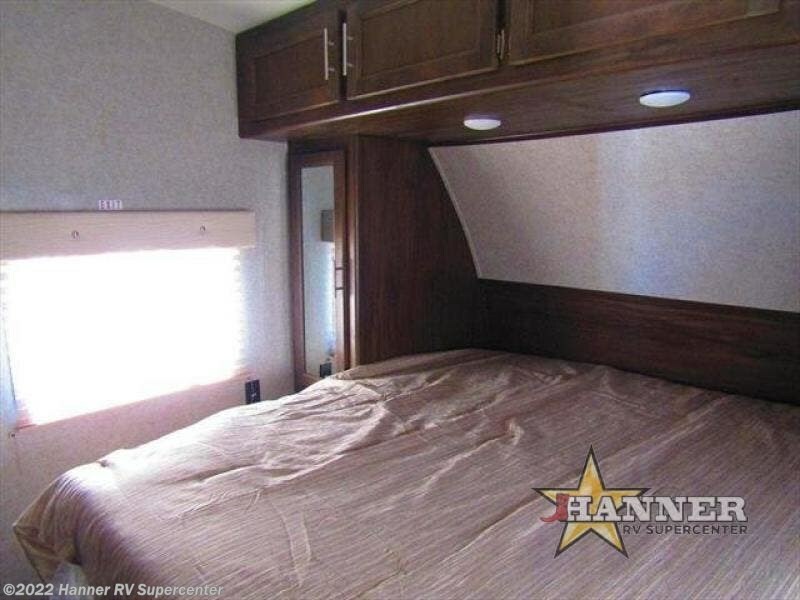 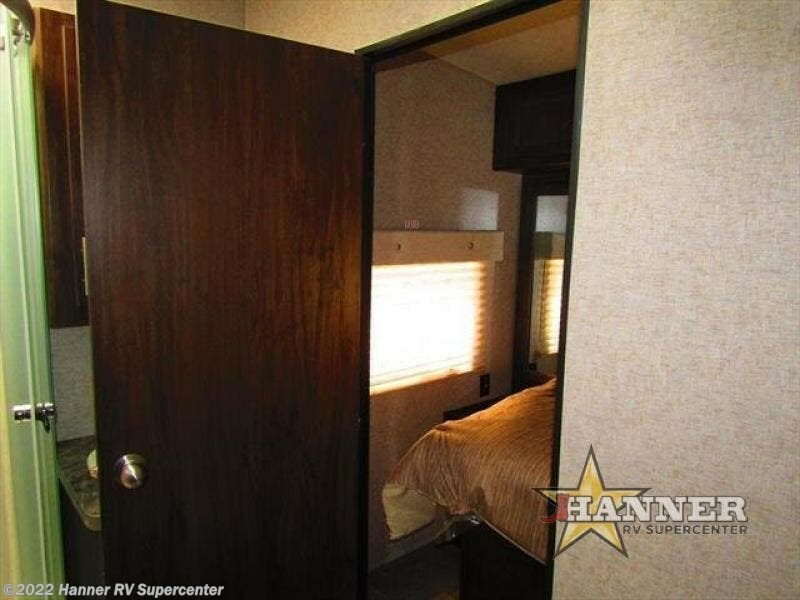 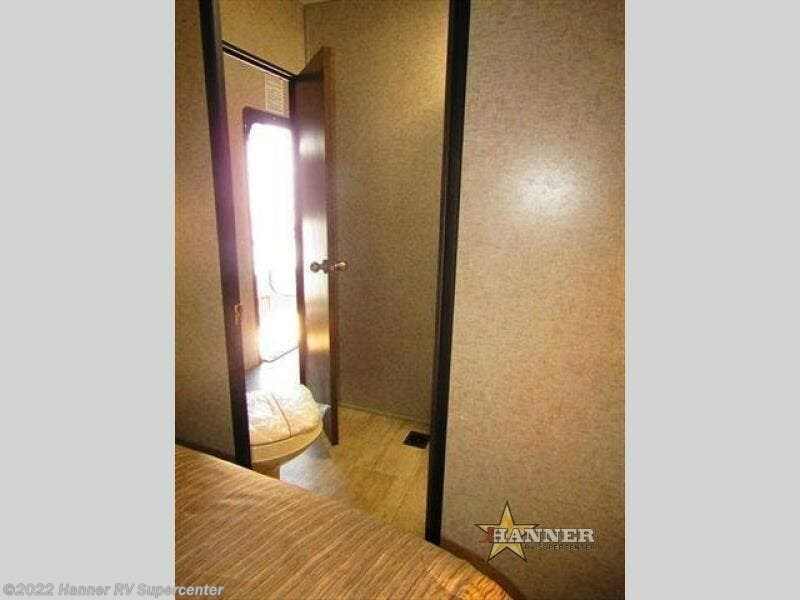 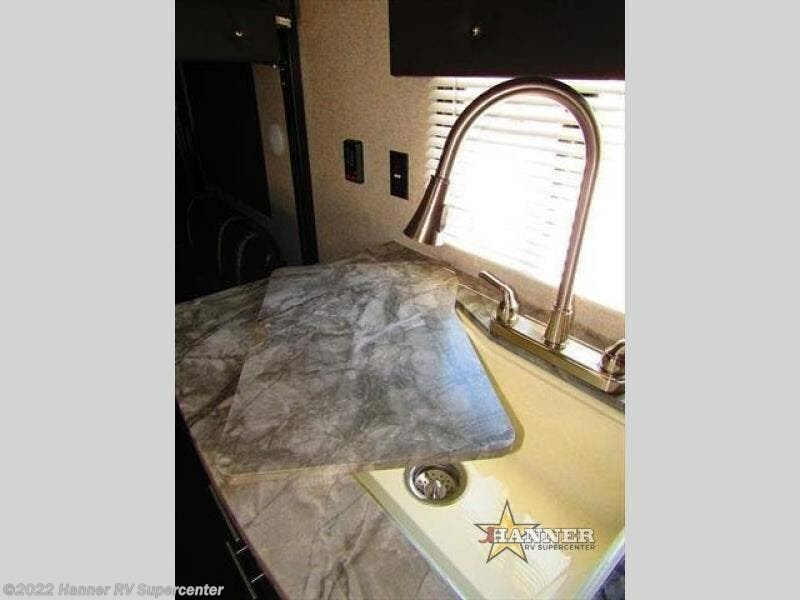 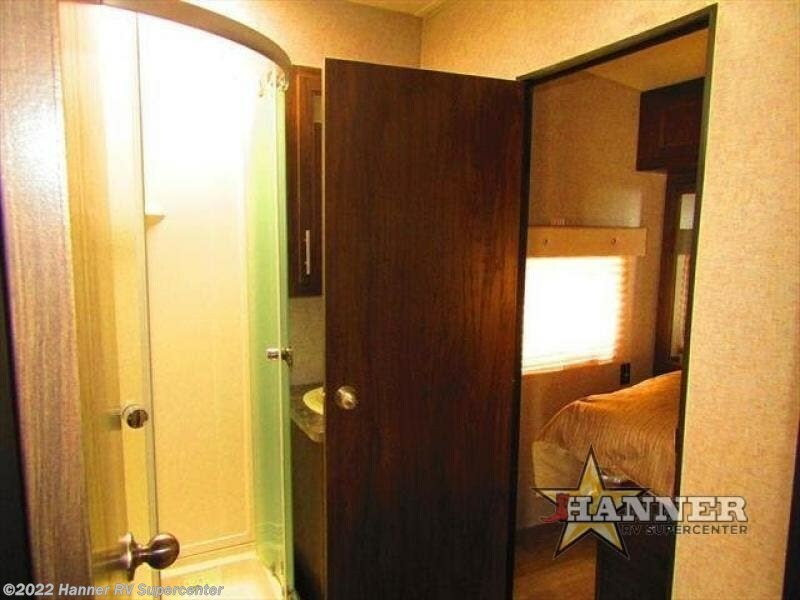 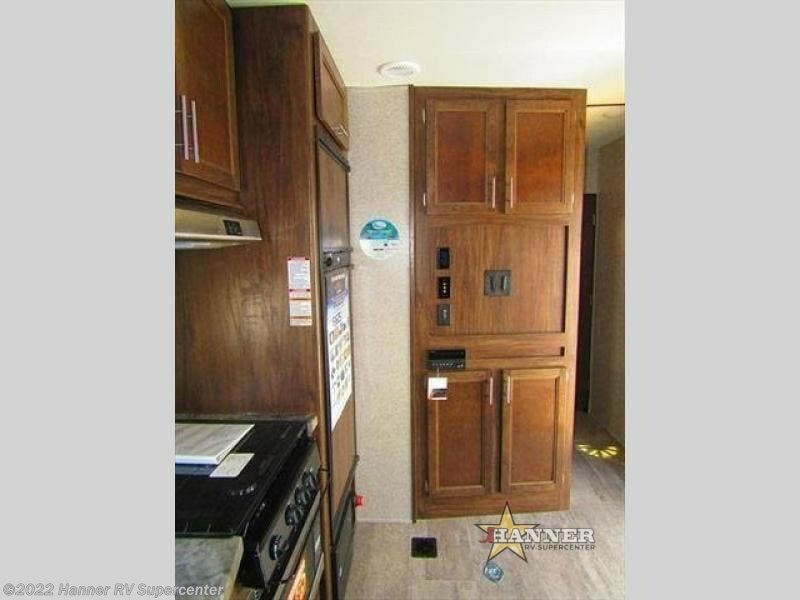 If you are looking for a front private bedroom, a two entry bath, 14'6" of toy cargo space, then step inside this Forest River XLR Boost toy hauler travel trailer model 27QB. 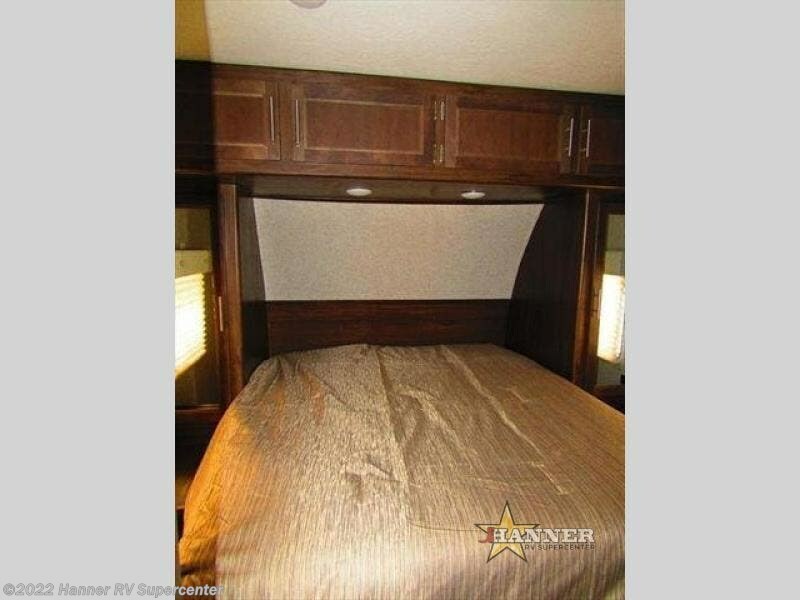 The front bedroom provides a relaxing space where you will find a queen bed including two bedside wardrobes, and an overhead cabinet for added storage. 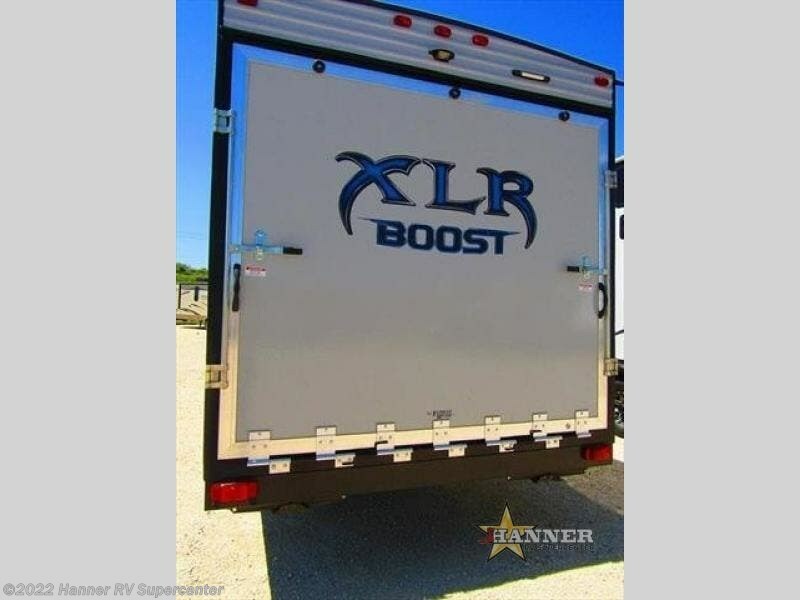 In the very rear of this XLR Boost, you can use the spring assist ramp door to easily load and unload your toys. 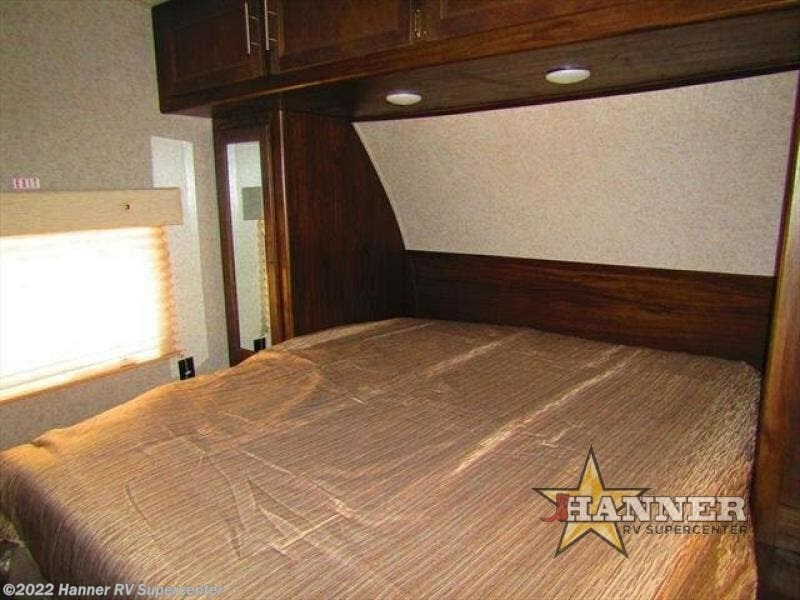 The two standard roll-over sofas can then be set up for relaxing, dining, and even provide extra sleeping space at night. 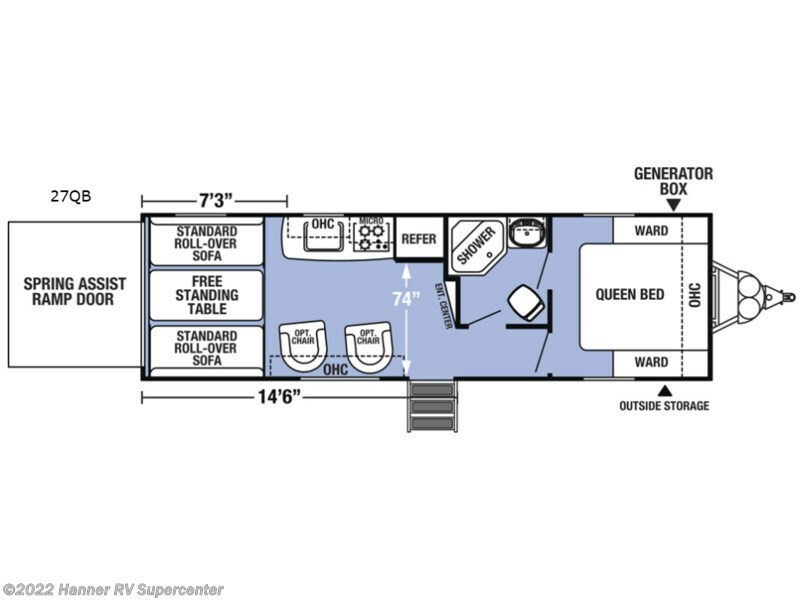 The removable free-standing dining table can be used both inside and out. 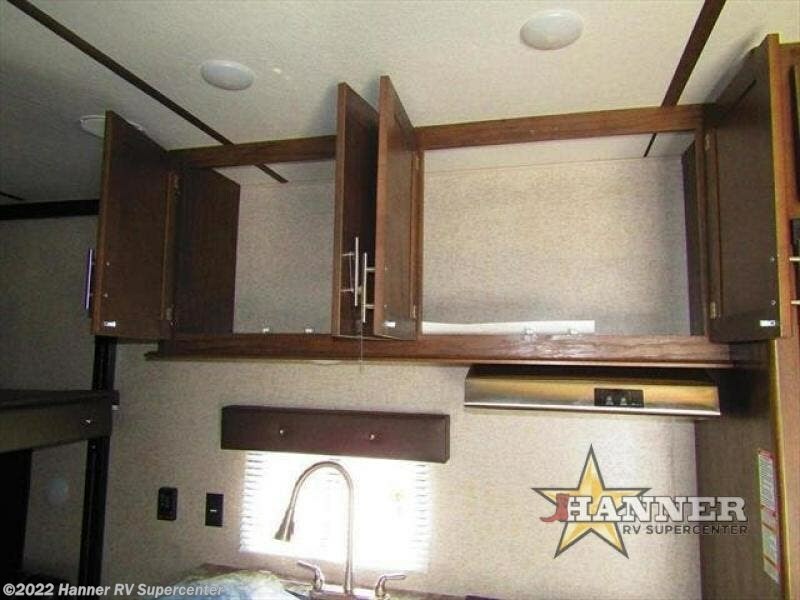 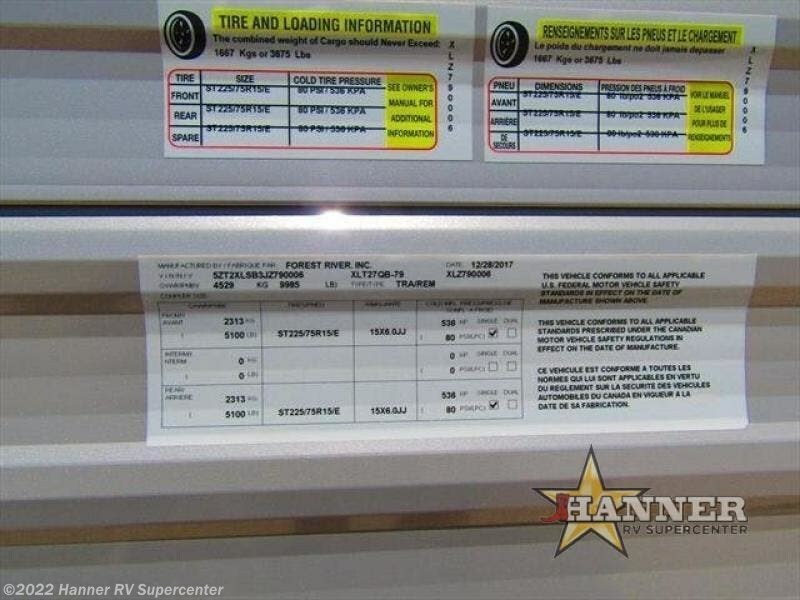 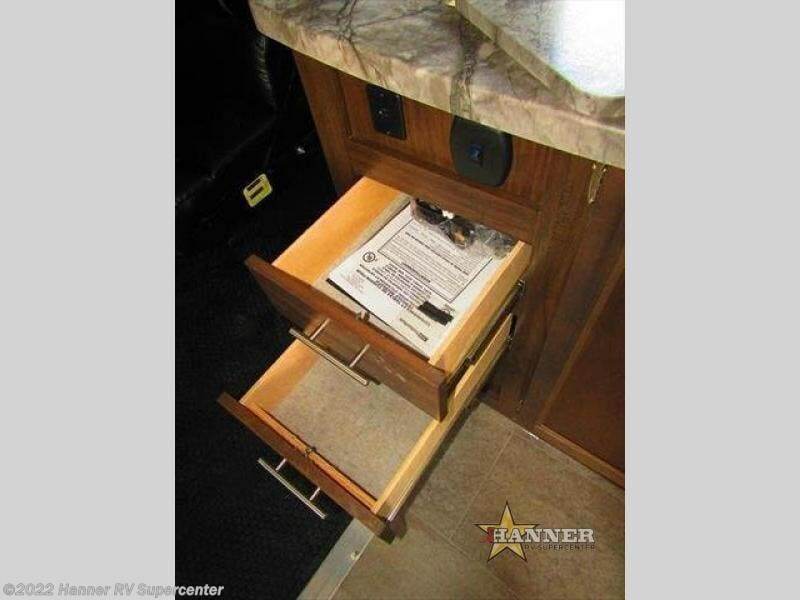 Speaking of outside, you will find the exterior storage compartment near the front very convenient, plus much more! 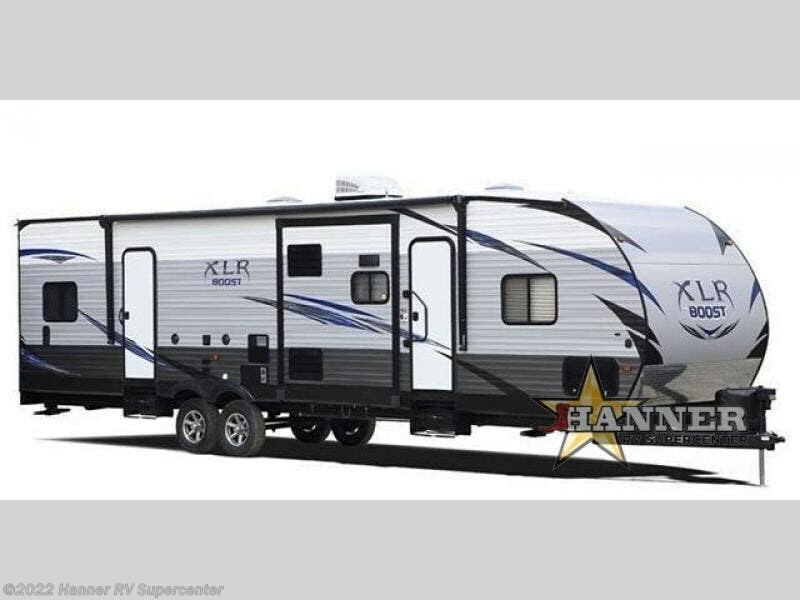 Take one of these 102" wide body constructed XLR Booth toy hauler travel trailer by Forest River RV. 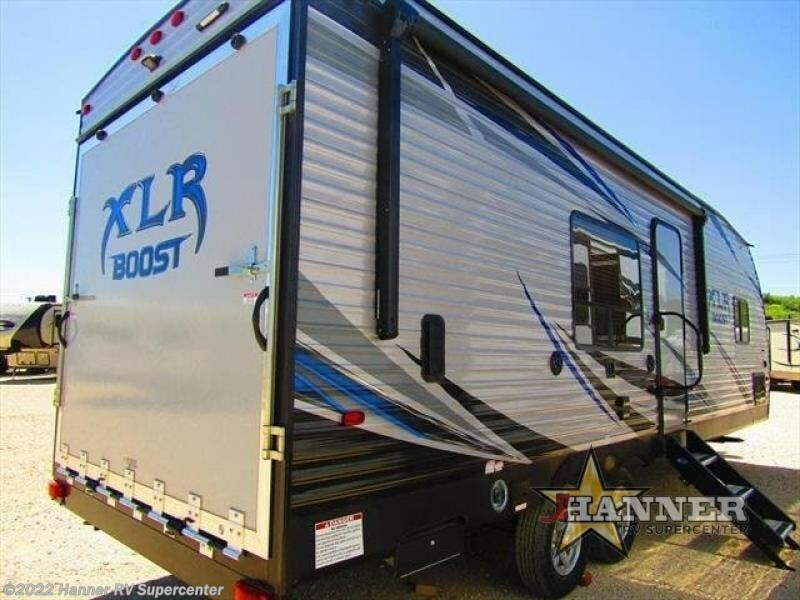 The entire Boost lineup can fit most of today's favorite toys, including side-by-sides, four wheelers, and motorcycles for all of your outdoor adventures. 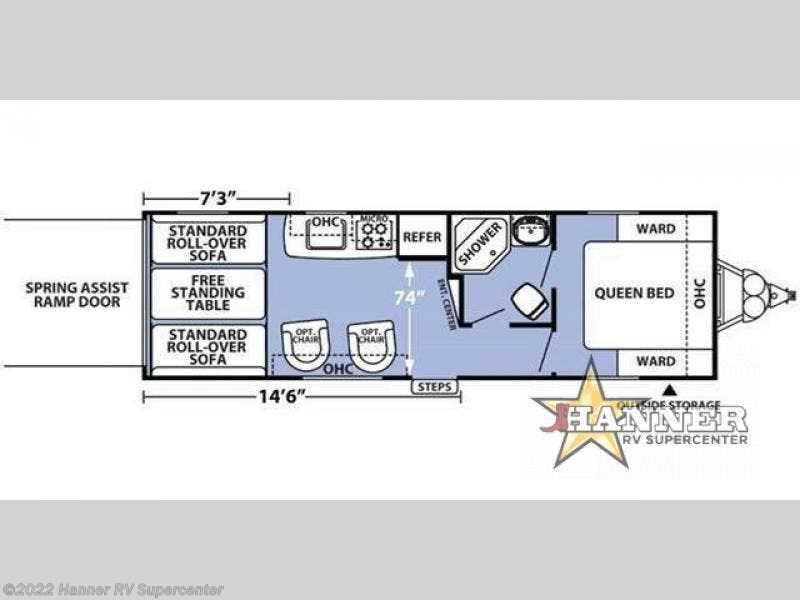 All of the bedrooms have nice bed's either queen or king beds, one even has a full, for a good night's rest, some models have large wardrobes for all of your things, and plenty of other standard features for making your home away from home more comfortable. 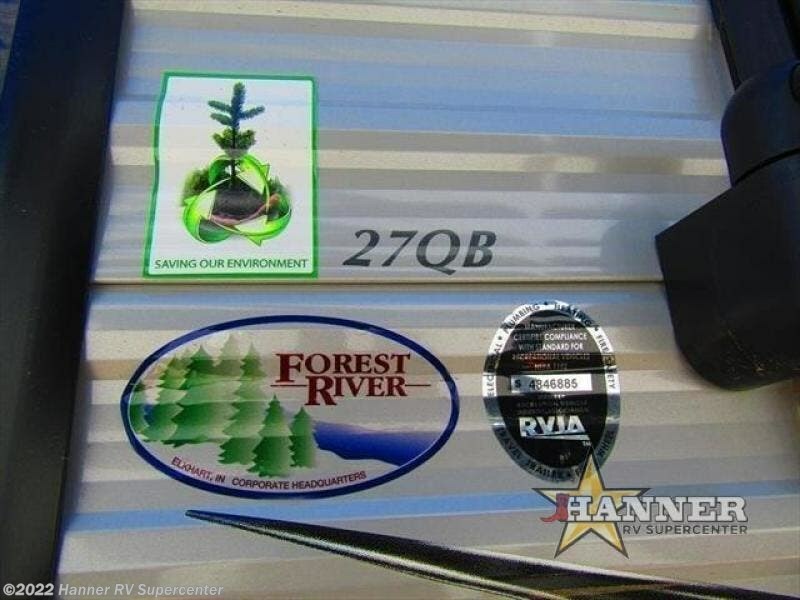 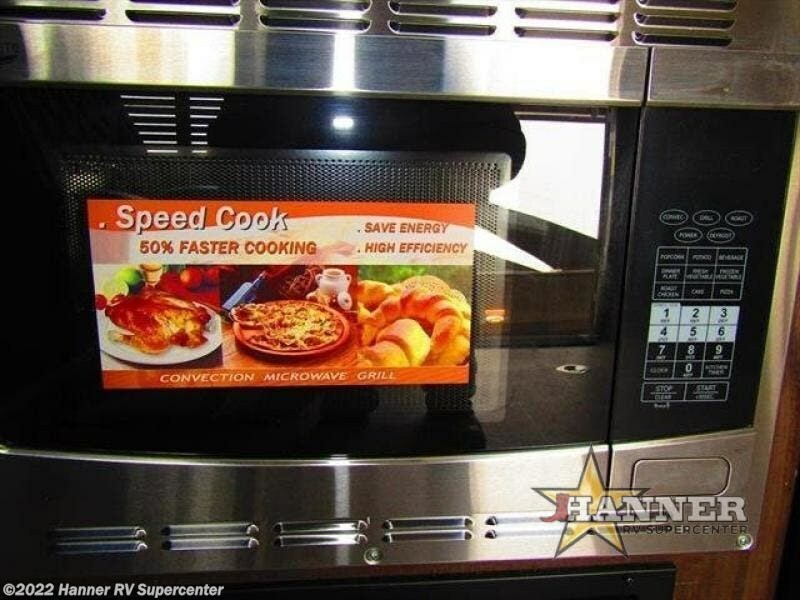 Check out Stock # 685480 - 2018 Forest River XLR Boost 27QB on forestriverrvsource.com!